With so many young people attending community or 4-year colleges in September, and the realization that some will unfortunately not succeed, I must address the issue of how to do well as an undergraduate student. This article will provide insights on how to excel academically, and how to live a balanced collegiate life as an undergraduate. This last consideration is important because life doesn’t stop once you begin college. Therefore you must know how to put forth your best academic effort while balancing the other responsibilities of life (social, political and spiritual) that co-exist with your labs, exams, and research papers.Though I will focus on 4-year liberal arts colleges/universities, you will find that much of the information provided here relates to community (2-year) colleges as well. Speaking to some of the excellent points raised in this poem, I begin our Tips for college success list by suggesting that we be clear about the actual purpose of a college education. 1. Be clear on what you should gain from a college education. Liberal arts colleges have two basic purposes: A. To provide you with a well-rounded general education that allows you to have several philosophical, historical and academic references in your life. B. To provide you with specific skills and information that will serve as the basis of your professional life and career. Most parents present college as a non-negotiable option for their children, focusing on the career preparation. They argue that a college education in our technical and technological world provides the necessary credentials and preparation you’ll need to get a job and launch a career. This perspective is valid. 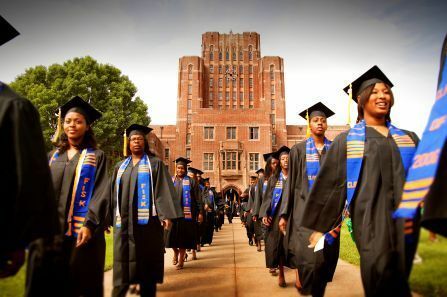 However a college undergraduate experience should additionally provide you with the networks, skills, information, and habits to amass POWER and to wield it in ways that advance and protect your people and communities, while facilitating your ability to sustain yourself financially. 2.Organize your time! Taking away 8 hours for sleep, you have 16 hours each day with which to handle your business as a student. That is more than enough time to eat, accomplish academic excellence, maintain physical fitness have a social and spiritual life, and do personal grooming and preparation. Develop a sense of what things you MUST do vs. what things you WANT to do. Use your smartphone’s calendar feature (Google Calendar is excellent) to plug-in the days, locations and times of your classes, assignment deadlines, study times, and recreational times, then set your phone to notify you about an hour before each event. This will help you to avoid scheduling conflicts. It will also give you an accurate representation of what you must do and what “free” time you have each day. 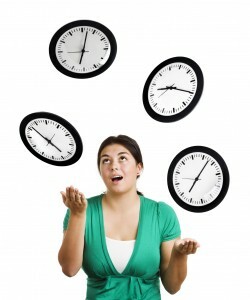 I would suggest that you view the following video on time management for college students. 3. 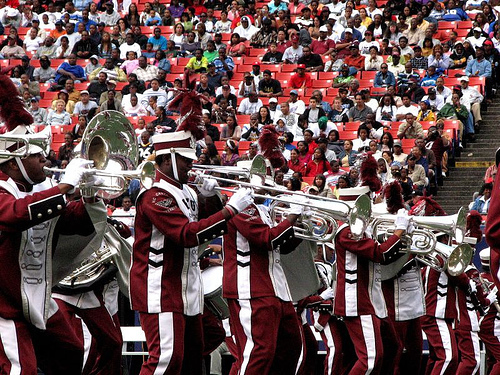 Actively participate in class.This does not apply as much in large stadium-seating classes with 150 or more students. But in normal classes where the professor can actually see and identify each student, you are expected to ask and answer questions and participate in discussions/class activities. How else does a professor know if you actually did your reading or if you understand the information? In fact, many classes factor participation into your grade. In order to participate intelligently, you must be prepared for each class. 4. Create (and follow) a good study schedule. When using the word “study,” I’m referring to: doing assigned readings, reviewing class material, preparing for exams, writing papers, and getting tutoring if necessary. All of these activities fall under the general category of studying and all of these activities should be organized. This goes back to the second point about time management.There are different theories concerning how much time you should spend studying each day. The common belief is that you should study one hour per credit you’re taking. Another suggests that you allocate 4-6 hours per day to study. Find what works for you. In the meantime, check out the following video. It is long, but well worth your time. 5. Determine as early as you can if you’re struggling in a class, and get tutoring if you need it. Within two weeks, you should know if you understand the material in a class or not. If you determine that you’re drowning in information you do not understand, GET HELP! 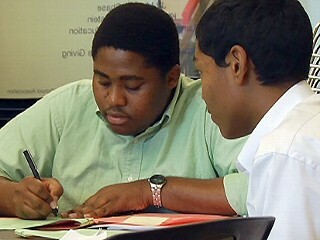 All colleges offer free tutoring services. 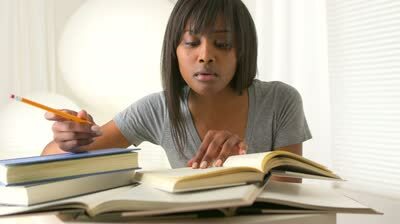 Most tutors are Juniors or Seniors who have an excellent understanding of the subject they tutor. Take advantage of these services if you need to. Getting the help you need to succeed does not make you stupid. But failing to get the help you need, just might! 6. Make time for a social life. Contrary to what some parents will tell you, college is not just about studying. College is an experience. Your college experience is better when its balanced. All work and no relaxation can make you depressed and even negatively affect your physical and mental health. There are three main categories of college life: academic, social, and spiritual, and I strongly suggest you participate in all three. Social life includes parties and other extracurricular activities like sports, physical fitness, and campus organizations. Spiritual life includes things you do to maintain a positive and ethical life. This can include attending a place of worship, meditating, praying, etc. Even atheists and people who practice no religion can still take time each day to meditate, visualize success, or do things that bring them inner satisfaction and direction. 7. Participate in a campus organization. Perhaps no extracurricular activity does more for college students than this one. College campuses have literally hundreds of student organizations including those that are political, cultural, social, religious, and recreational. During my undergraduate and graduate school experiences, I became a student leader and these experiences really helped my personal and political development. Involvement in campus organizations often helps students gain leadership skills, develop confidence, do community service and sharpen their writing, speaking, and networking skills. Many of these skills, experiences, and contacts you make as a student leader will benefit you years later in the workforce, in addition to in your family and community. Trust me. In conclusion, college is not an impossible mission. You can succeed if you are organized, work hard, and have a balanced experience. One final word of advice. While it is important to meet people and learn about other cultures and philosophies, you can do this without losing sense of your own cultural identify. As we are reminded in “The Wizard of Oz,” “There’s no place like home.” College is often the training ground for future activists and leaders. Take some Black, Women’s and Latino Studies classes and learn about past and present struggles for liberation and empowerment. Remember: education is not simply preparation to get a job, but preparation to go out and empower the people and communities from which you come! Agyei Tyehimba is an educator, activist and author from Harlem, N.Y. Agyei is a former NYC public schoolteacher, co-founder of KAPPA Middle School 215 in the Bronx, NY, and co-author of the Essence Bestselling book, Game Over: The Rise and Transformation of a Harlem Hustler, published in 2007 by Simon & Schuster. In April of 2014, he released Truth for our Youth: A Self-Empowerment Book for Teens. Agyei has appeared on C-Span, NY1 News, and most recently on the A&E documentary, “The Mayor of Harlem: Alberto ‘Alpo’ Martinez.” Mr. Tyehimba is a professional consultant and public speaker providing political advice and direction for Black college student organizations, community activist groups, and nonprofit organizations. If you are interested in bringing Agyei to speak or provide consultation for your organization, please contact him at truself143@gmail.com.